Cyber Snipa has all sorts of gear that is aimed right at the gamer looking for an edge in their favorite title. The company has gaming keyboard, gaming mice, and gaming headsets. 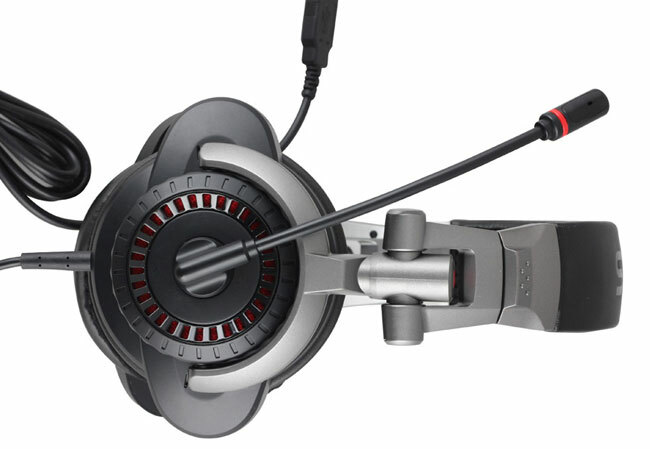 The latest product slots into that gaming headset line and is called the Sonar 5.1 Championship Headset. The headset is a cool looking 5.1 surround sound headset that uses a single USB connection to provide the 5.1 effects. It has an incline control that allows the individual adjustment of all channels and over all sound. Each ear cup has four speakers inside including a dedicated sub. Bass is important in games so you can hear and feel those explosions. Cyber Snipa says the dedicated woofer is perfect for those explosions. The headphones measure in at 190 x 215 x 90mm. You can order them up right now for a bit under $80.